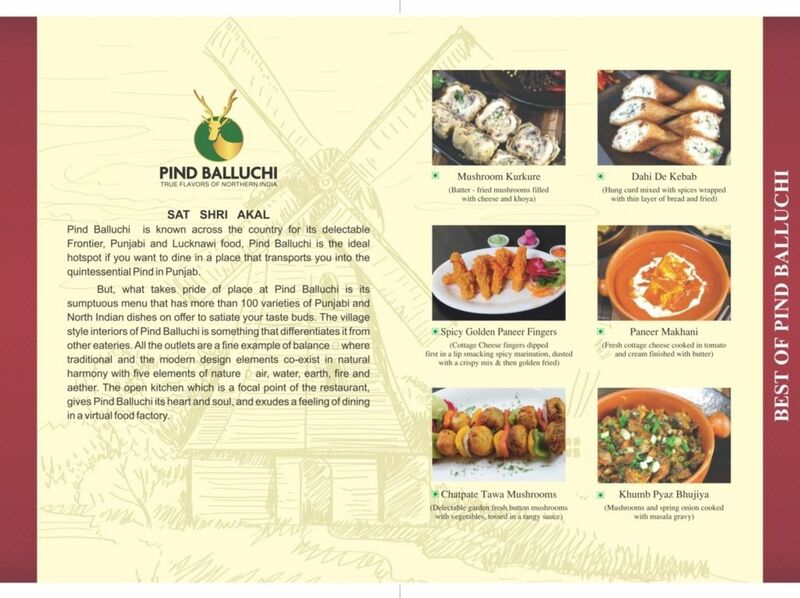 Located in Noida, Sector 104, Pind Balluchi is a pioneering restaurant that serves authentic and soul satiating Punjabi delicacies. With an air-conditioned and spacious seating area and a knowledgeable staff, dining in this restaurant is a pleasant experience. One is obligated to try their ‘Tangri Kebab’ - a robust preparation of grilled chicken flavoured with garlic and chef’s secret spices. 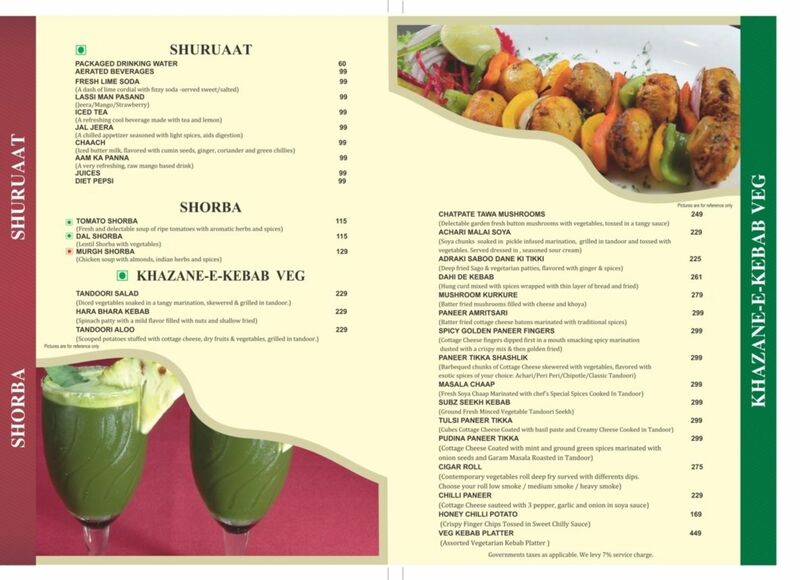 Not being biased for non-vegetarians, they have a range of vegetarian dishes that will not disappoint you. 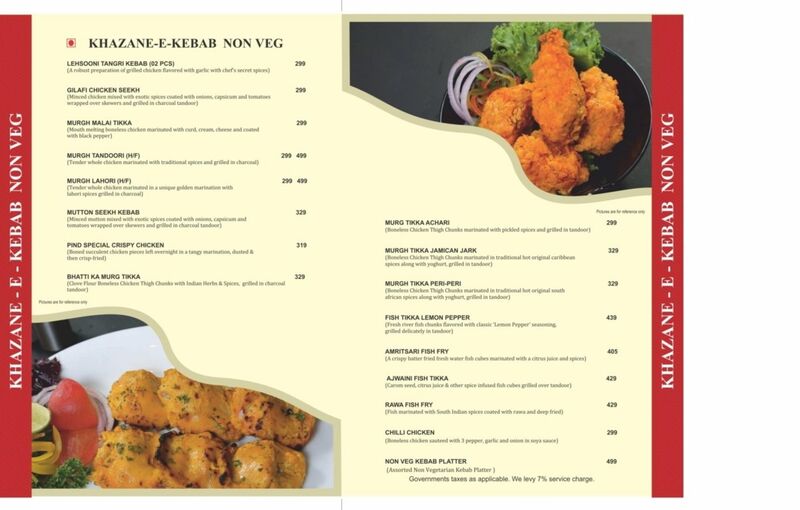 Some the must-try vegetarian dishes are ‘Malai Kofta’ - soft cottage cheese dumplings cooked in smooth rich gravy with cashew nuts and poppy seeds infused in it and ‘Mushroom Kurkure’ - batter-fried mushrooms filled with cheese and khoya. 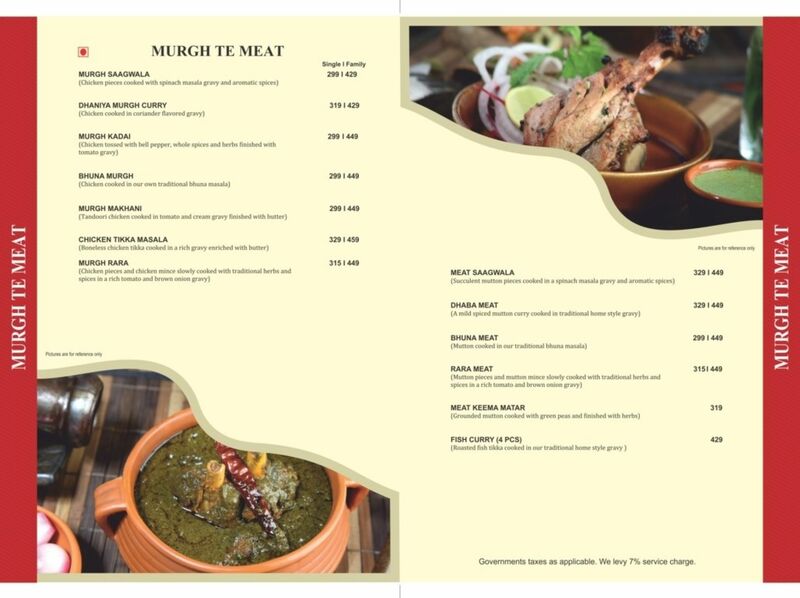 All in all, they have a nice range of Punjabi as well as Mughlai dishes guaranteeing a fulfilling experience whether you come with family or friends or all by yourself. 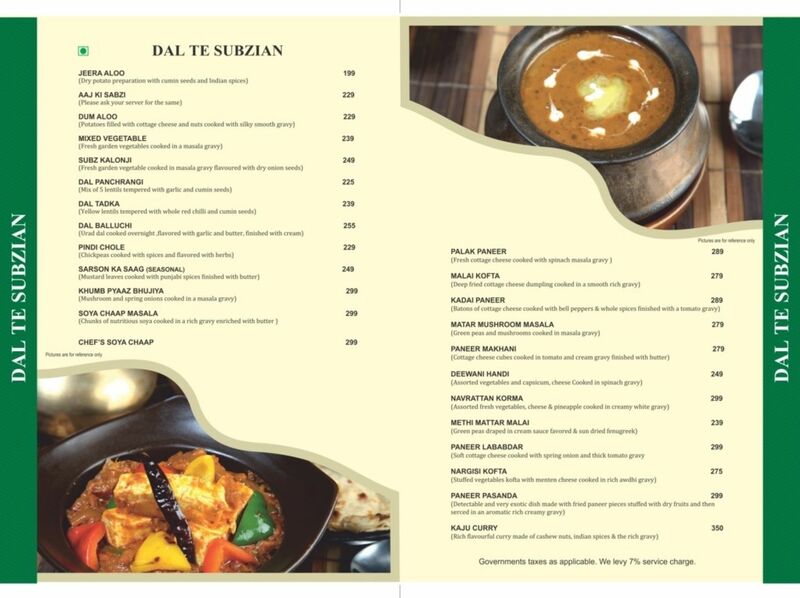 The food here is tasty, specially the Chicken Malai Tikka and Malai Kofta. The food is also quite fresh , so there is no issue with the quality here. There is however an issue with the services offered. 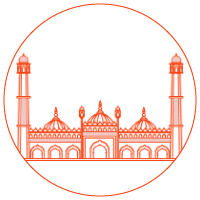 The service can be a bit faster for starters,if possible, without compromising on the current quality. 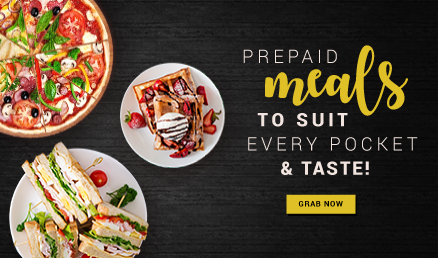 Restaurant boasted a tent card, WE LEVY SERVICE CHARGES. Poor service, waiters arguing amongst themselves. Manager says sir happens sometimes. Is the customer paying to listen & understand the restaurant issues. Only food was good. We have recently shifted to Noida, and in a way this was our first major meal that we brought home from outside. Though the place was full of diners, and I went and ordered for food to bring back home and have with my family, the service was prompt. 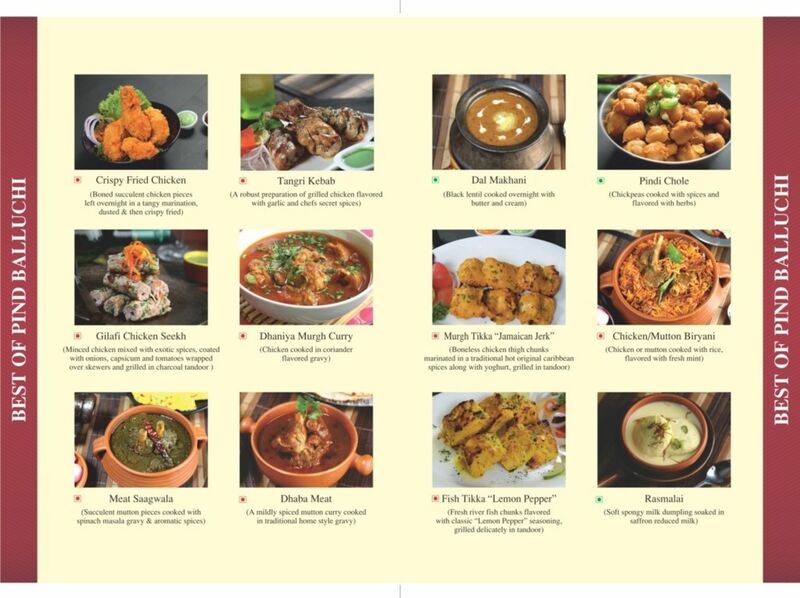 The pieces of chicken kabab were succulent, the malai kofta had the right mix of spices and the Thandi Kheer is a must-have. Only the naans had become rubbery by the time I came home (after 10 minutes), but I think naans are supposed to behave that way. The sitting is very beautiful, and whether you are visiting as a couple, or in a big group, they have provisions for all. Is definitely worth many visits.